Above Strawberry punnet and chip baskets. Image: Copyright Museum of English Rural Life, University of Reading. 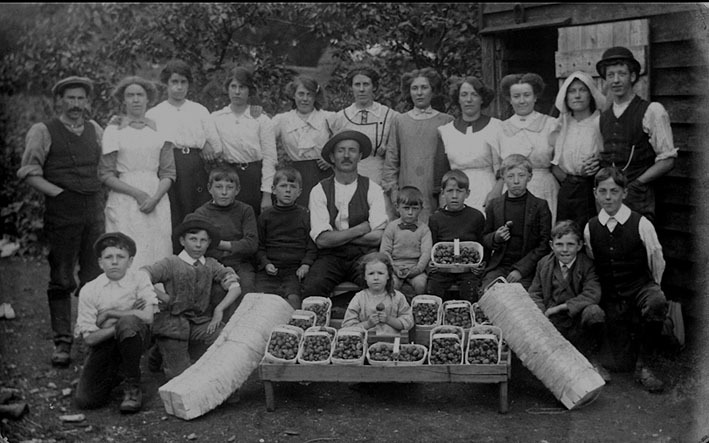 At the height of its production the Chip Basket Factory supplied local growers and also sent baskets all over the country to meet the needs of other horticultural areas. 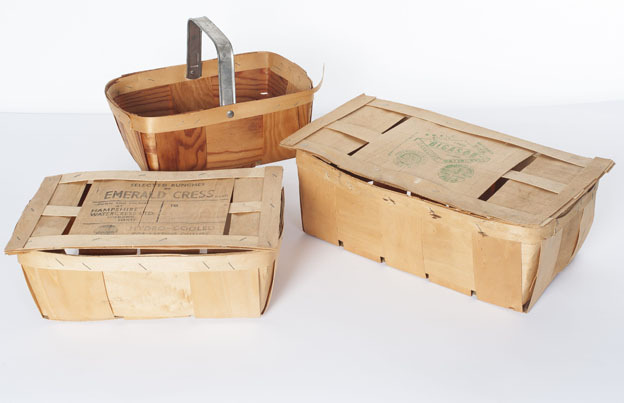 Watercress baskets were fitted with lids, while mushroom and tomato baskets usually had handles and were made in 4lb, 6lb and 12lb sizes. Fred Rogers owned a box making firm. 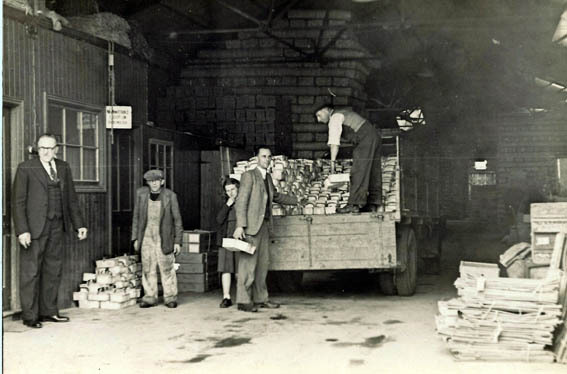 This display and 1938 advert (above) show the range of packaging available to the trade. Image: Courtesy of Mark Tamblyn. The Tamar Valley marks much of the boundary between Cornwall and Devon and has long been famous for fruit and flower growing. soft fruit within 24 hours of picking. This prompted a rapid expansion of market gardening, with every available and suitable space being turned over to production. The soft fruit was packed into wooden punnets, which were cottage industry. 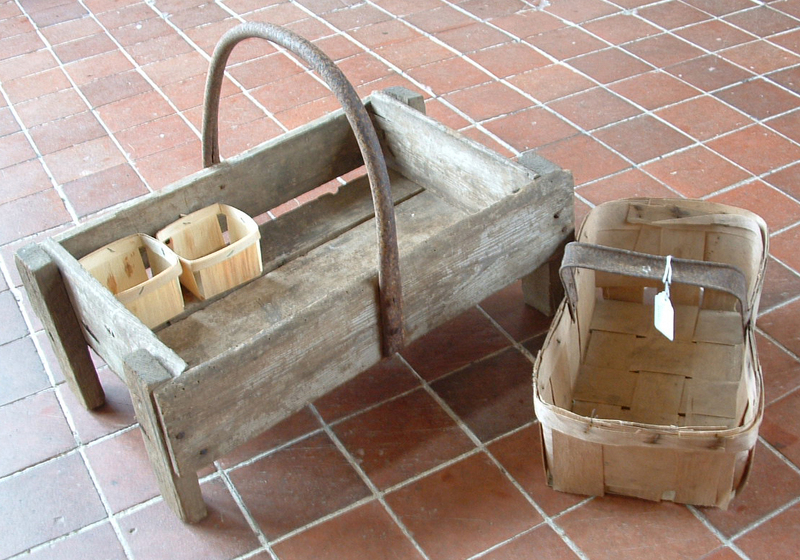 These punnets and chip baskets were woven from thin strips of wood. By the late 19th century a number of local factories had been established to make these on a larger scale to meet the demand from growers. 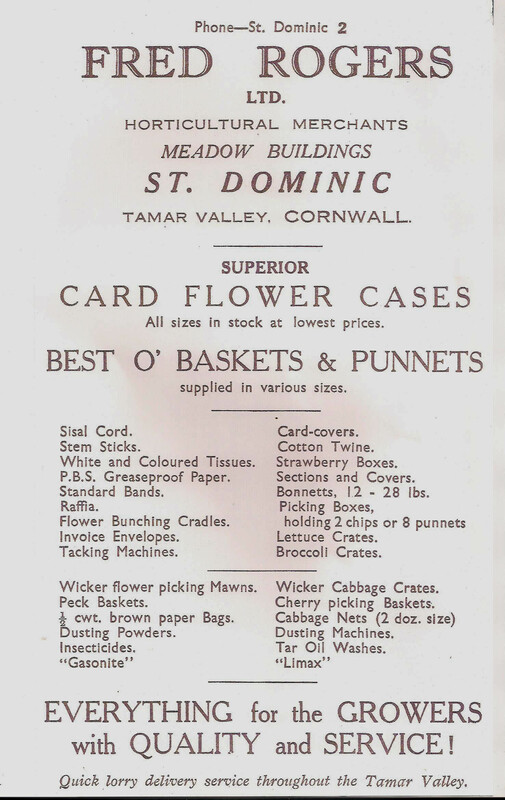 During the 1920’s a factory co-operative was started in the village of Calstock by the Tamar Valley Growers Association. This became known as the ‘Chip Basket Factory’. Along with strawberry punnets they made different sizes of basket for different produce. Timber was sourced from local woodlands and was also imported from Canada and Russia. With competition from imported fruit and the demise of the railways in the 1960’s, flower and fruit growing reduced in the area. 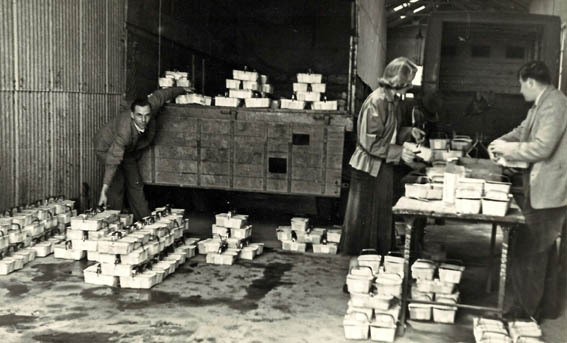 With the introduction of plastic containers the demand for chip baskets declined and the factory closed. Strawberry pickers, Whimple Farm, 1910. For almost 100 years the valley was famous for producing the earliest strawberries in the country. Image: Courtesy of Calstock Archive. Chips packed with strawberries. Fred Rogers, St Dominick. The baskets were woven from timber imported from Scandinavia, rotarily veneered and guillotined into strips. Image: Courtesy of Mark Tamblyn, Fred Rogers’ grandson. Chip baskets being loaded onto the truck. Courtesy of Mark Tamblyn. 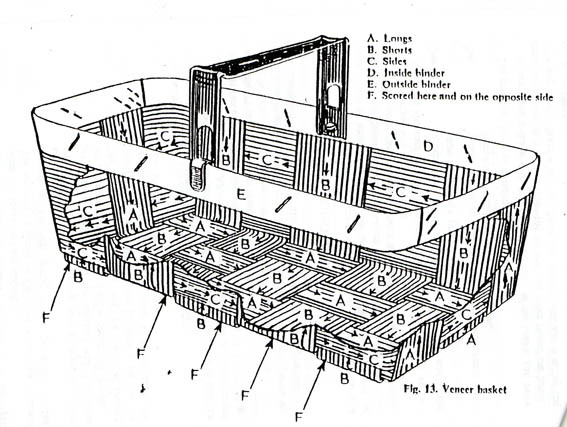 Picking box to hold two chips or eight punnets.